The Ewing Memorial Library is one of the oldest and best college libraries in Lahore and now fast transforming itself into a state-of-the-art University Library. 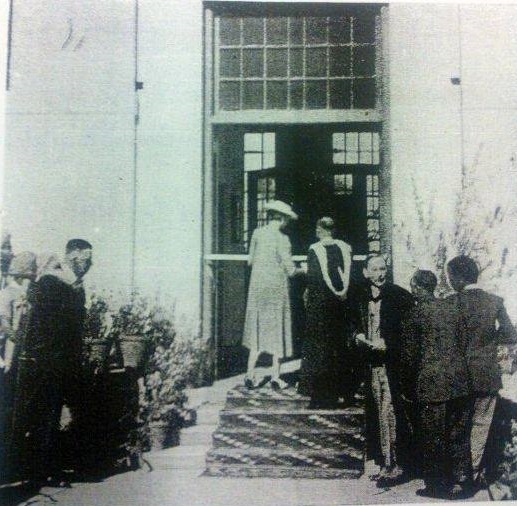 The three-floor library building was built in 1943 and was inaugurated by Her Excellency Lady Glancy. 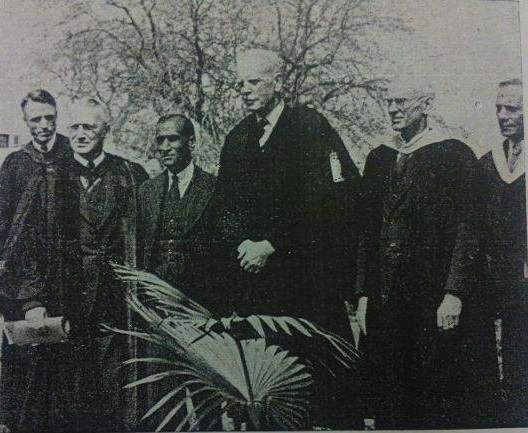 The new library building was dedicated after the name of Dr. Sir J.C.R. 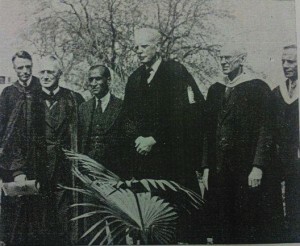 Ewing, the second Principal of the College on 3rd March, 1945. Group photo taken on occasion of the Dedication of the Ewing Memorial Library 3rd March 1945. The Ewing Memorial Library can be rated currently as the best Automated Library in Pakistan. It is using most modern Library Technologies, including VTLS VIRTUA Integrated Library Automation System, 3M Security Control System , automated shelving system using RFID-tagged collection and a Digital Library Assistant (DLA), the latest feature-rich CCTV Network with AXIS brand IP Cameras and Milestone Xprotect Enterprise software on a powerful Network Video Recorder Server with seven days recording capacity. The latest addition is Information Commons in Room No S125 of Armochost Building , offering facilities to access online resources combines with on-spot guidance of a reference librarian. A separate Intermediate Section of the Library has been established in Susheela Building, Room P-25 to serve the Intermediate Students. Approval of an Information Literacy Program as compulsory course-embedded activity is also a new initiative of the Ewing Memorial Library to enhance FCC students’ skills for finding and using information effectively, from Library and online resources. This is done through Library Safari, a 3-part teaching program, conducted bt the Library during the fall and spring semesters. The combination of best Library Technologies and application of most modern concepts of Library Science makes the Ewing Memorial Library, an outstanding example of excellence in Pakistan. There are more than 70,000 books, 21 Printed Journals, Audio-visual and digital resources in the Library. The collection is growing monthly with the addition of new books. All library material can be easily found using the web-based Library Information Portal. The library is using Dewey decimal classification system in order to organize its collections. All books can be easily found using Online Public Access Catalogue. The Library has an elaborate Website as well as a facebook to stay connected with the library users.